My Studio is finally on its way to being organized. And pretty. And functional. And today, I am sharing a peek into where I spend most of my day designing and creating. But you have to head over to Craft Storage Ideas for the reveal. I hope it makes you as happy as it makes me! * Psssst! I'm also sharing a coupon code for all CSI readers. 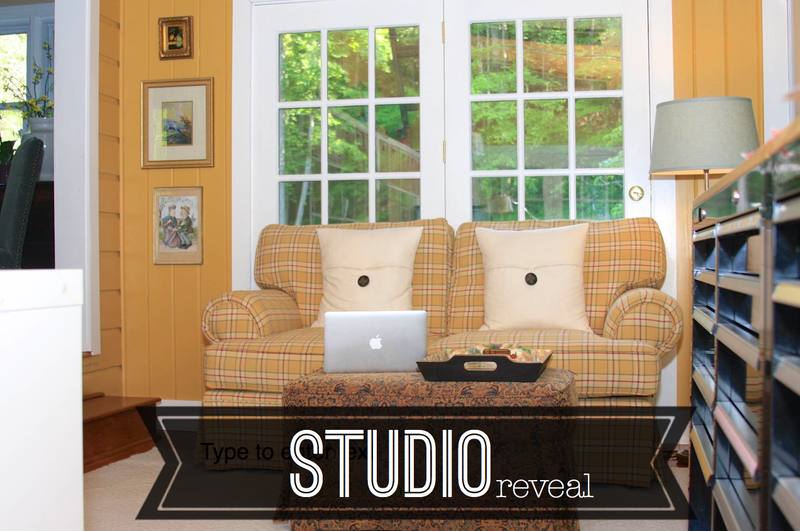 Find more project STUDIO posts here. Thank you, thank you, thank you!!! I've been waiting so long for this reveal. I have a similar space and just can't get my mind around converting it into craft heaven. You've done in one post what I couldn't figure out in 7 years! Hazel, you're much too kind! I've been wanting to sew a cover for my sewing machine for years and you whip one out in no time flat. And your wine crate transformation is amazing. I can't wait to see the rest of your room re-do!